Even though Chal Mohan Ranga is finding itself hard to sustain at the box office, Nithin has left everything behind and is busy shooting for his next film. 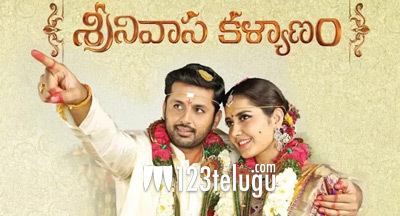 The latest we hear is that the second schedule of his latest film Srinivasa Kalyanam has begun in Chandigarh earlier today. Raashi Khanna and Nithin are taking part along with key artists in this schedule. Sateesh Vignesya is directing this film which is being produced by Dil Raju. Watch out this space for more updates on this project.